The New catholic Red Guards do not rest. They are marching and sloganeering up and down Twitter, pumping the air with their Little Red Books. The cadres are giving their morning orders to the useful idiot lib masses about whom to attack today and in weeks to come. The other day I posted the names of some of the New catholic Red Guards. HERE. A lot is going on, so it has already scrolled off the front page. In any event, one of those names is an inveterate hater (especially of Pope Benedict and Card. Sarah), Andrea Grillo. This fellow is a true hater useful for study so that you can understand better how haters really hate. If it’s Catholic and it’s older than, say, 40 year or so, this guy probably hates it. This morning my phone whimpers to life with an SMS from Roman friends with a quote from Brachytrupes via Marco Tosatti. I think we will all agree that any attempt to explain in human language what Christ did at the Last Super and what God does through every priest at every Mass “has its limits”. Transubstantiation is a mystery. It is unthinkable that Brachytrupes has never read what the Council of Trent taught, against the Protestant Revolt. And he teaches at a Pontifical Athenaeum in Rome, Sant’Anselmo… the liturgy school. BISHOPS… SEMINARIANS… if you are in Rome for studies, or thinking about what to… this is the sort of thing you will get at Sant’Anselmo. How ironic that Grillo writes that “”Transubstantiation is not a dogma” precisely when he and others are celebrating LutherFest. What Grillo wrote is precisely what the heretic Luther thought. It is, frankly, heresy to deny the dogma of transubstantiation. I can’t believe that I have to do this! Andrea Grillo, giving the Church the finger from his blog. This entry was posted in Liberals, New catholic Red Guards, The Drill, You must be joking! and tagged Andrea Grillo, Sant'Anselmo, transubstantiation. Bookmark the permalink. The USCCB has promoted the Lutheran doctrine of the Real Presence for quite a while now. While I agree with you, Ott and the Council of Trent, and believe in transubstantiation, since Vatican II we have heard increasingly about the Lutheran real presence, Karl Rahner’s transignification (a fancy way of saying the Eucharist is just a symbol), and so on. 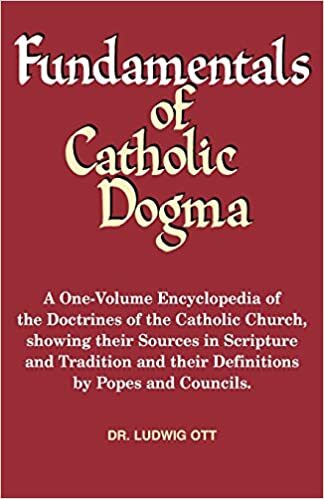 The Church has basically generalized the allowed ideas so much, that for all practical purposes, Transubstantiation is not a dogma upheld in the New Church. You of all people should recognize the Lutheran “real presence” doctrine. The extra communion ministers, the irreverent taking in the hand, etc etc are all due to the elimination of the doctrine of transubstantiation. If the laity were expected to believe that the Eucharist is literally, physically, entirely God, with no other substance present whatsoever, there would not be all the behaviors and rites of the new mass, which are clearly based on the idea that the Eucharist is a shared symbol. Grillo is obviously seeing the reality of the doctrinal statements and practices of the last 50 years with less denial than you. If traditionalists would admit that doctrine has changed, and yet nothing true can change, then the denial would finally break, and true faith could return. Besides, all of that is for rigid fundamentalists who have not been… *enlightened*, you see. Yeah, that’s the ticket. Well, since modernism was explicitly declared a heresy by Pope St. Pius X, I think we can safely say that any movement of theology born of that heresy is not so great. It kind of lets the cat out of the bag. Transubstantiation might contradict some theories of metaphysics, but the Discipline of Metaphysics itself is not predicated by the posits of this or that metaphysical theory. Only those falsely believing that the particular philosophy that they believe in is the be-all and end-all of Philosophy — much as some very naïve atheists & secularists believe that some very limited understanding of scientific methodology is the be-all and end-all of Science — could propose anything of the sort ; which amounts to not much more than a declaration of their own incompetence in even General Philosophy. The only be-all and end-all philosophically is God Himself, but we mortals can simply seek towards that perfection, in a broken and necessarily incomplete and partial manner — as such, an orthodox Christian must recognise that philosophies and metaphysics will be devised by others that contradict the transcendental Truths of the Revelation. But to claim that Metaphysics itself might “contradict” any metaphysical claim is intrinsically false, and simply presumes that one particular man-made metaphysics is Metaphysics itself. Faith is a gift. Jesus explained the reality of His Body and His Blood, and this truth was too hard for some of his followers. They left Him, not understanding it at all. We have some very hard truths to accept about what has happened within and without our church. Thank you for all you do, Fr. Z. I feel sad I missed your birthday. Happy Birthday!